HBDesign designs Men's Suits for more exquisite life. Please check our Size Chart before choosing our products to fit your figure well. 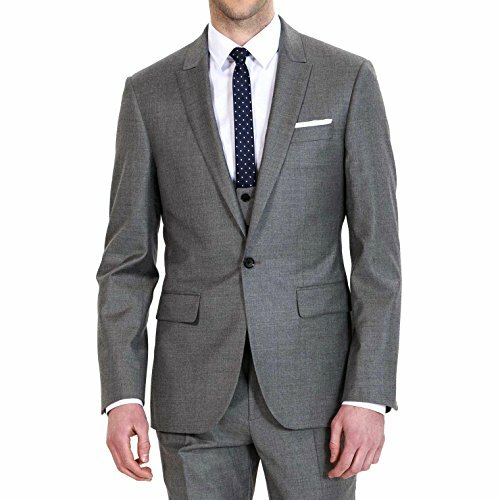 Absolutely alterations is required for your Suits to fit perfect, please contact your local tailor's shop for help. We also support tailor made to fit you figure better. Please contact us for more details. Please bear in mind that the color of our products displays on each LCD monitors will be different depend on the setting of your LCD monitors and the angle to see. Quality is our highest priority at HBDesign. If you feel that pants is damaged due to a manufacturing defect, please contact us for details on how to exchange the product. Returned products are inspected by our Quality Team and replaced if the damage is the result of a manufacturing defect and not caused by misuse or activities other than the intended purpose. If the same style and size are not available, a substitute replacement of comparable value will be given. Within 15 days if you are not completely satisfied with your purchase, return it for a full refund or exchange. If you are missing your return label, please contact us, we will be happy to assist you. Any item that is returned that does not meet our inspection and evaluation from our Quality Team will not be eligible for a return. Items must be free of: dirt, odors (i.e. cigarette, sweat, detergent, any sports medication, etc), animal dander, deodorant marks, and any visible signs of wear and tear. P.S. Any return will be charged at least $15 for freight. Designed in Regular Size, But Can Also be Customized Clothing .If You Want To Customize the Clothes.No Additional Costs. Big and Tall Size Can Also be Customized.Please Contact Us for More Details. If Choose Regular Size ,Please Always Choose the Large Size If you Measurements Comes Between Two Sizes. Orders Will be Fulfilled within 5-7 days. Every Computer Display Different,Pictures and Objects Will be Slightly a Little Color.Please Buy Cautiously. If you have any questions about this product by HBDesign, contact us by completing and submitting the form below. If you are looking for a specif part number, please include it with your message.